Is sugar really public enemy number one? 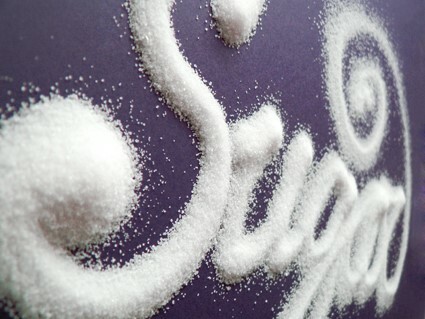 Over recent years, sugar has been portrayed as public enemy number one. More addictive than cocaine. Linked to many health problems, particularly the increase in diabetes and insulin resistance in children and young adults. To be avoided at all costs. But is it really that simple? If you‘re a regular reader of this blog, you won’t be surprised to hear that the answer is no (! ); so let’s take a closer look at sugar. We love asking people questions about things they take for granted. Watching their faces as they think about something for the first time. So let’s do this with sugar and ask the obvious question. The first – and most obvious answer – is to sweeten things. But why? Go out into the countryside in the autumn blackberrying and you’ll quickly learn what sugar is for. It tells you when a fruit is ripe and ready to eat. That it’s high in nutrition and calories, to provide fuel now – and to help stock up the reserves. Aka body fat. This most basic association – sweetness and being good to eat – has been used by humans as a basic survival tool for thousands of years. Fast forward a few centuries, to raw sugar / honey being added to foods to make them more palatable, leading to many sweet luxuries. However in the last few decades, as foods have been increasingly processed, this association has become our undoing. Processed foods are very different to those cooked at home – or eaten by our ancestors – but our taste buds react to them in the same way. We want more and more of them. No. In its natural state, as part of a whole food, sugar isn’t a problem. Take fruit, for example, where sugar is found naturally in the form of fructose. Not only does the fruit contain fructose; but also has fibre and other phyto nutrients, which all play a part in how the fruit is digested by the body. In simple terms, fibre slows down the whole digestion process. As a result, the fructose is absorbed more slowly, over a longer period of time. This makes it easier for the body to deal with but, more importantly, prevents blood sugar from rising too quickly. If this happens, insulin is produced to reduce blood sugar, with the excess sugar being laid down as fat. As an aside, this is the reason it’s always preferable to eat whole fruit rather than drinking fruit juices, which don’t contain so much fibre and so blood sugar rises very quickly. What happens when sugary foods are eaten? By their very nature, processed foods tend to be low in fibre. This means they’re easy to digest and the sugars they contain are quickly absorbed. As a result, blood sugar rises rapidly and insulin is produced to bring it back down to safe levels. Where this happens occasionally, there isn’t a problem. However, where someone has a diet high in processed sugars, this isn’t an occasional event. It happens many time each day so that, over time, the pancreas becomes exhausted. No longer able to produce insulin on demand. The rise in diabetes over recent years, particularly in children and teenagers bears testament to this. Sadly, though, the health consequences of high sugar diets are much more widespread. Sugar, by its very nature is acidic and alters the body chemistry. Candida, which feeds on sugar and needs an acidic environment to thrive, is a common side effect of a high sugar diet. More worryingly, many degenerative conditions, such as Arthritis, are linked to acidity, as are many cancers. Over time, the body becomes used to high levels of sugar in the diet. In effect, it becomes addicted to it, leading to the sugar cravings so many people are familiar with. This is one of the reasons why so many people find moving away from a diet high in processed foods so difficult. Is it simply a case of avoiding added sugar? In an ideal world, yes. But, if you’ve ever tried reading the labels found on food, you’ll know this is easier said than done. Look on any label and you’ll find that sugar tends not to be mentioned. Instead, there’s a long list of ingredients, making it very difficult to pinpoint which ones are sugar. And just to confuse things even further, often several of the ingredients are sugar related. This makes it very difficult to work out the total sugar content of the food in question. Some have sugar in their name. Brown sugar, beet sugar, cane sugar, inverted sugar, palm sugar. Others are derived from sugars in their natural form. As a rule of thumb, anything ending in “ose” is a sugar. Glucose, maltose, dextrose, fructose, galactose, lactose. Glucose solids. Then there are the more processed forms of sugar, usually found in syrups. Corn, high fructose, barley malt, maple, molasses, rice. Dehydrated fruit juice. Somehow, they manage to sound wholesome and good for you. And, finally, a whole range of highly processed forms of sugar, most of which don’t sound anything like sugar. Dextrin, maltodextrin, saccharose. What about sugar substitutes, such as aspartame? If only life was this simple! While sugar substitutes may save the calories, they come with a host of health problems. Added to this, they don’t provide the body with an “I’m full” message. This is the reason why people often say that they don’t feel full after eating – or drinking – a sugar free product. There is so much more that can be said about sugar substitutes, so this will be the subject of another blog in a few weeks’ time. Well, once again, it’s down to good old fashioned common sense. The occasional sugar rich treat isn’t a problem. Ideally, make it at home so you know exactly what it contains. And, enjoy it! If you eat a good wholefoods diet for the rest of the time, it won’t be a problem. And don’t forget. Your body is very forgiving. It’s never too late to make a change. Many health problems can be significantly improved – or eliminated – with a good diet. And Diabetes is no exception.